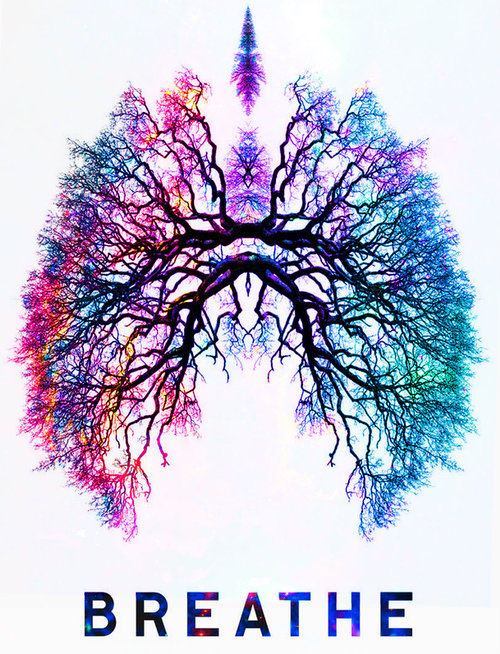 Breath equals life. It’s the first thing we do when we’re born and the last thing we do before we die. Breathing is a fundamental component of Pilates and it is essential to learn to breathe correctly. Joseph Pilates’ great focus on the breath was to cleanse the bloodstream through oxygenation. Full breaths allow you to expel stale air and waste from the depths of your lungs and replenish your body with fresh air. Correct breathing is extremely revitalizing. Shallow breathing into the upper region of the rib cage creates tension in the shoulders and neck. Breathing too low down into the abdominal cavity relaxes the abdominal muscles and leaves the back unprotected during the workout. It’s important to breathe into the back of the lower ribcage three dimensionally. This will allow you to breathe into the lower lobes of the lungs where the most efficient gas exchange takes place. Inhale fully through your nose and exhale fully through pursed lips. Here’s a visualization for you. Imagine that your ribcage is an accordion. As you inhale your ribs open to the sides (laterally) and your ‘accordion’ expands outwards. As you exhale, squeeze your waist inwards from all sides like you are trying to squeeze yourself a tiny waist. Breathing correctly and coordinating breath with movement will take your Pilates practice to a whole new level!